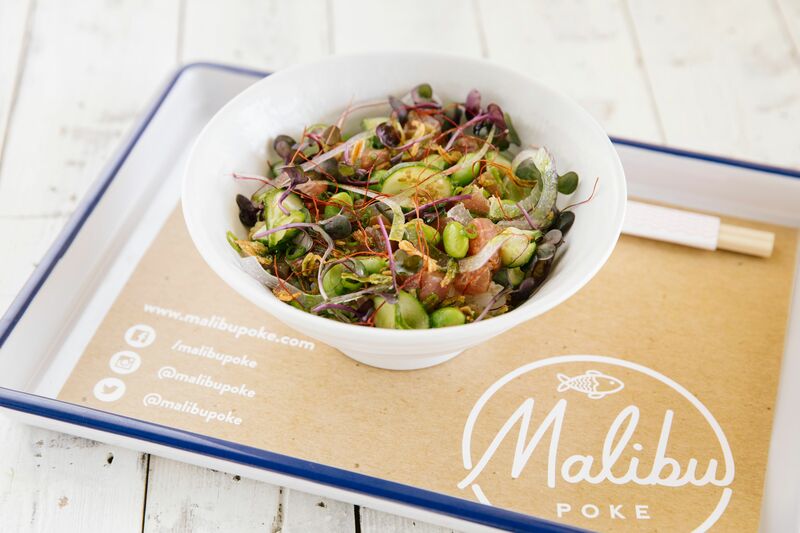 Located in Austin’s bustling Seaholm District, Malibu Poke offers a chef-driven menu, health-conscious ingredients and a high-tech ordering system. Guests can enjoy “classic” poke bowls or build their own and explore over 63,000 combinations with flavors such as smoked bonito aioli, coconut curry, Japanese sancho pepper, red miso, daikon, umami powder, marinated shiitake mushrooms and more. In addition to traditional raw seafood, Malibu offers cooked seafood and gluten-free and vegan options, including a completely Whole30 compliant bowl.